According to an article in the MetroWest Daily News, a thirty-seven year old woman was arrested after a knife fight in Framingham. 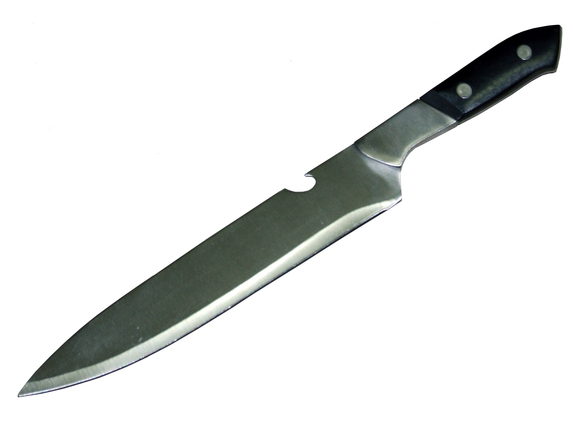 The article states that the police went to Phelps Road and found “a small child walking around holding a large kitchen knife.” It is unclear what led the police to respond to that location, however, the officers took the knife from the child upon their arrival. Officers then attempted to question people in the area in an attempt to determine what happened. During the investigation, the police recovered several weapons from the area, including a miniature novelty bat and several other wooden objects that witnesses identified as being used in the fight. Additionally, while the officers were questioning witnesses, one woman ran up to another woman and started screaming at her. The police attempted to separate the two, but were unable to do so and ultimately ended up handcuffing the woman who had initiated the screaming. She made statements to the police, including admitting that she had brought the knife to the fight. She indicated that she had done so because “they” had hit her sixteen year old daughter. Officers then charged the woman with assault with a dangerous weapon. For the Commonwealth to convict the woman of assault with a dangerous weapon under G. L. c. 265, § 15B(b), it would have to prove the following beyond a reasonable doubt: (1) that the woman intended to put a person in fear of an imminent battery; (2) that she engaged in some conduct toward that person which the person reasonably perceived as imminently threatening a battery; and (3) that the assault was done by means of a dangerous weapon. Fortunately for the woman, she appears to have several potential arguments that she can make in her defense. First, she could simply argue that there was no assault. Although the woman acknowledged that she had brought the knife to the fight, she did not admit to doing anything other than simply having it with her. There’s no indication that she threatened anyone with it, or attempted to use it in any way, and merely carrying a knife is not sufficient to establish the requisite elements of assault. Second, the woman could also argue that even if there was some sort of assault, she was simply acting in defense of her daughter. Massachusetts law allows people to come to the aid of each other when such action is necessary. Specifically, a person is legally permitted to use reasonable force when it is necessary to do so to help another person. Here, given the fact that one or more people had hit the woman’s daughter, the woman may have an argument that some show of force was necessary to protect her daughter’s physical safety. This argument is further supported by the fact that numerous other weapons were found in the area of the fight, indicating that there were a number of people who were involved, and who were armed. Despite the fact that the woman does appear to have several arguments that she could make in her defense, she will still need an attorney to persuasively present whichever defense(s) she chooses to raise to the court, and potentially to a jury. If you or a loved one is facing a similar situation, you will likewise need a skilled attorney to handle your case. Attorney Daniel Cappetta has been practicing criminal defense for many years and has helped numerous clients obtain positive results in their criminal cases. Call him for a free consultation and put his expertise to use for you.